TORONTO - Ontario is introducing mandatory indigenous cultural sensitivity and anti-racism training for all public service employees in response to recommendations from the Truth and Reconciliation Commission. 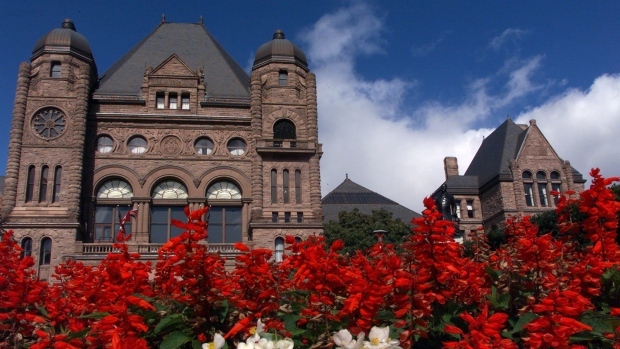 The province is also developing a plan to ensure that the impact of residential schools, the history of colonization and the importance of treaties is added to the curriculum in Ontario's public schools. The training is designed to help develop policies and programs to redress the legacy of residential schools, advance reconciliation with indigenous communities and make a real difference in the lives of First Nations, Inuit and Metis people. The government says in a release that it will include topics such as terminology, diversity, aspects of colonial history such as residential schools, and also focus on violence against indigenous women. It says the Ministry of Education will make the school curriculum changes in collaboration with First Nations, Metis and Inuit communities and other education partners. Premier Kathleen Wynne says by making changes to the public school curriculum and introducing mandatory training for the public servants, the province is taking an important step on the path to reconciliation.